Don't get us wrong, we love the burgers at Foster Burger, and Biwa, and Yakuza, and Slowburger as much as the next guy, but isn't it strange that the same few spots show up on everyone's "best burgers" lists? And isn't it possible that Willamette Week, the Portland Mercury, Portland Monthly, and even *gulp* Thrillist missed some epic Stumptown burgers? 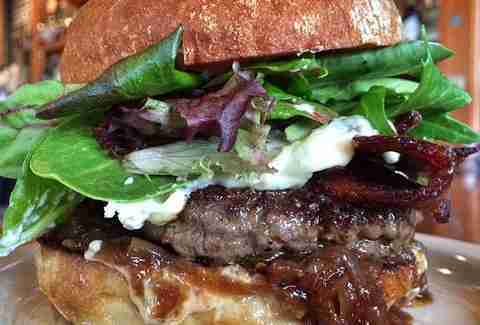 Yes... and here's the proof: nine under-the-radar (and totally badass) burgers you won't find on any list except this one. Premium beef with aged Tillamook Cheddar, caramelized onions, and enormous onion rings that rival Ringside’s means that this meat disc isn't anything like the more famous Kobe: overrated. A career shooting percentage under 45%? Seriously?! 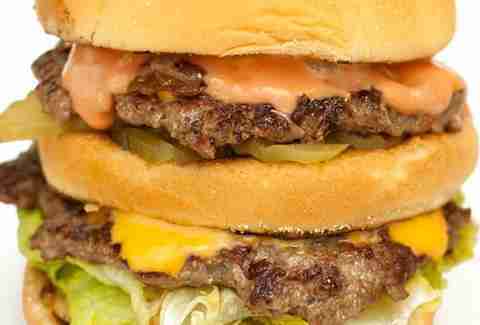 A menu with just about everything you can fry on it, just as many milkshake choices (40+), and best of all, enormous burgers cooked in what tastes like at least a quarter-inch of glorious grease on their flat top. 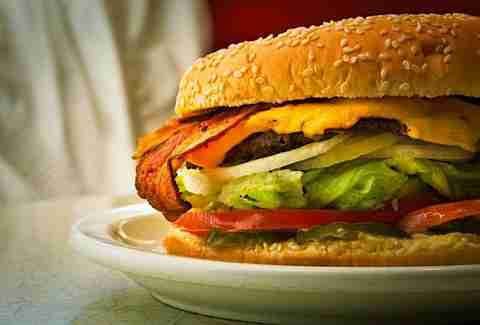 Pro Tip: ordering bacon on your burger nets you six pieces of delicious meat candy. 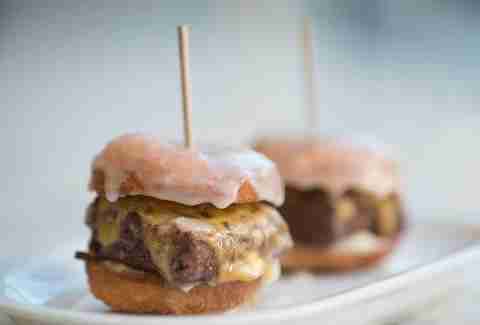 Donut sliders. Let us repeat that. Donut. Sliders. 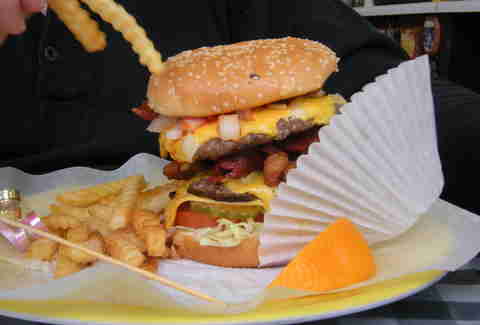 You can’t go wrong with their all-day brunch menu, but you can go even less wronger with one of their grease-tastic gut-bombs like the Monstrosity, a double-bacon cheeseburger with two grilled cheese sandwiches for buns, or the Burgermeister, which is what every Big Mac wishes it could be. You can get a bacon cheeseburger anywhere, but you can't get one made with impeccably sourced ingredients like Tillamook Cheddar, fry sauce, crispy onions & bacon jam on a brioche bun... unless you hit this boozer with constantly rotating taps and one of Stumptown's sweetest bourbon selections. 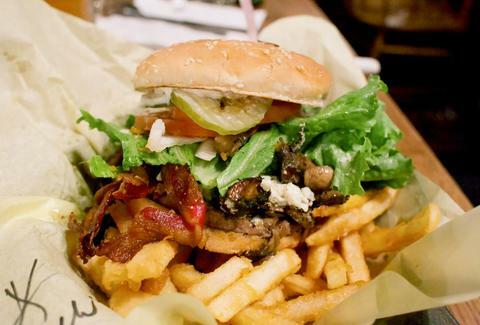 One thing's for sure, sitting at one of Portland's sweetest strip clubs eating five pounds of beef and cheese, plus all the accoutrements, on a 14” bun is sure to give you a colossal... um, stomach ache? First of all, skip the spot on NE Broadway. 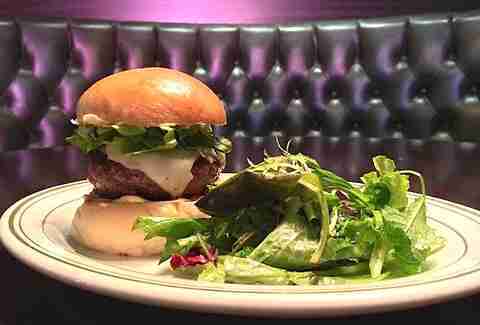 The burger is pretty much the same, but to really enjoy the food, you have to take the cruise down Skyline Drive and experience the ambience that led James Beard -- yes, that James Beard -- to extoll the virtues of this burger. And then something about the Quadzilla Challenge. Next time you have to go to the airport or Ikea, make sure you stop by The Original WOW! 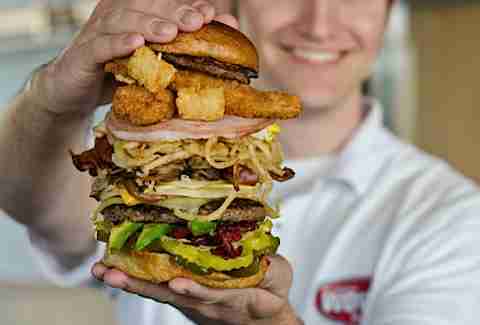 Burger, where they make their own buns and, like a Fuddruckers, let you build your own food. Choose between all the usual toppings, a plethora of sauces, and finish it with as much cheese, bacon, and avocado as you can fit on their beautiful buns. Known by all the neighborhood kids, this spot still flies under most radars, but they’re pumping out legit bistro fare like this elk burger w/bacon, bleu cheese & cabernet onion jam that you can enjoy posted up in one of their deep booths, which is what many considered John Wilkes to be, but only because he yelled in Latin and stuff.